I spend a total of 15 hours of my week in the gym. A combination of cardio and circuit training are my way of keeping my body weight in shape. Lately, I got bored of doing almost the same routines. Good thing, one of my gym buddies suggested using a dip belt. Indeed, it is one way of putting a new twist to what you usually do. Hence, I started looking for the best dip belt for a more intensive workout. → Check out other gym and workout accessories here! Its Amazon rating says it all. This dip belt is an excellent product to try. I love the fact that the stitches are durable enough to withstand 180 lbs of weight. Brute Training Systems has done a fantastic job with this dip belt. First, I like the camouflage design that breaks the monotony of the usual black dip belts. Without a doubt, this belt is indeed a masterpiece from Harbinger. I like the fact that it uses polypropylene materials making it extra durable. I have used this belt myself, and I am enjoying it so far. It has all the essential characteristics of a decent dip belt. Moreover, I love the fact that its core material is leather. It’s something unique in comparison to other products made of synthetic materials. For me, it is one of the most stylish dip belts on our list. Although it may belong to the midrange products, you should still give it a shot. Looking for dip belts that will suit your needs is not an easy task. You need to do your homework and research about available products. With hundreds of choices in the market, you probably need to spare a significant chunk of your time looking for one. However, for your convenience, I have done it already. I have identified five of the best products on Amazon that you may want to try. To help you make the right decision, I will also enumerate the pros and cons of each item. In the end, you can determine which among them works best for your purpose. The first item on our list is a revolutionary dip belt from Spud Inc. At present, this belt is selling like hotcakes. In fact, it is currently enjoying an average rating of 4.9 stars out of 5 on Amazon? That’s too close to perfection. Besides, the 2-feet chain allows you to add more weights depending on your preferences. As a result, you can do more resistance training without getting bored. For me, this dip belt from Spud Inc deserves a 4.7-star rating. This belt includes a 10 x 6 inch back pad to maximize ergonomics while lifting weights. 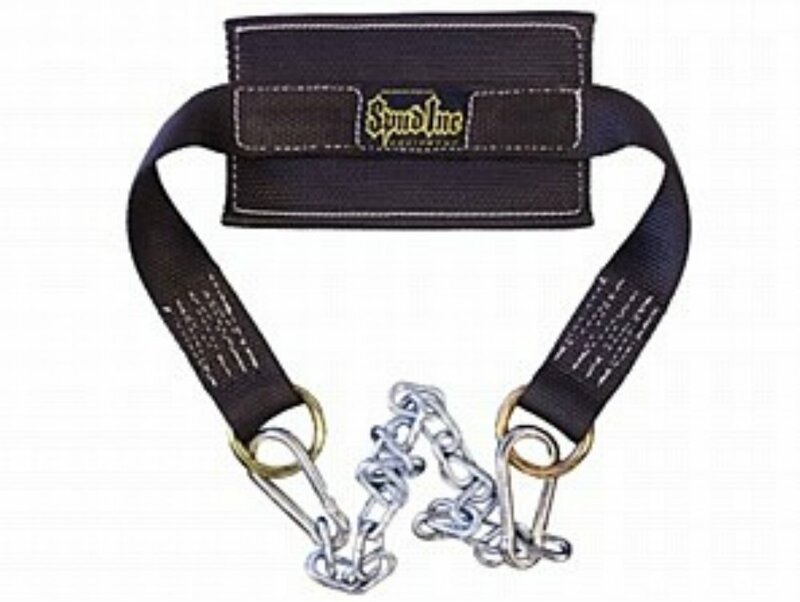 Upon delivery, this product comes with a 2-feet chain with clips to hold the weights in place. This dip belt measuring 35 inches long will add a twist to your usual lifting routines. As of the moment, there are no negative feedbacks for this product on Amazon. However, one potential complaint that may arise is its back pad. A 10 x 6 dimension is just too wide for me. How much more for individuals with smaller physique? Another possible issue is its 35-inch diameter. Although it seems to be enough for an average gym-goer, some people may find it too small. 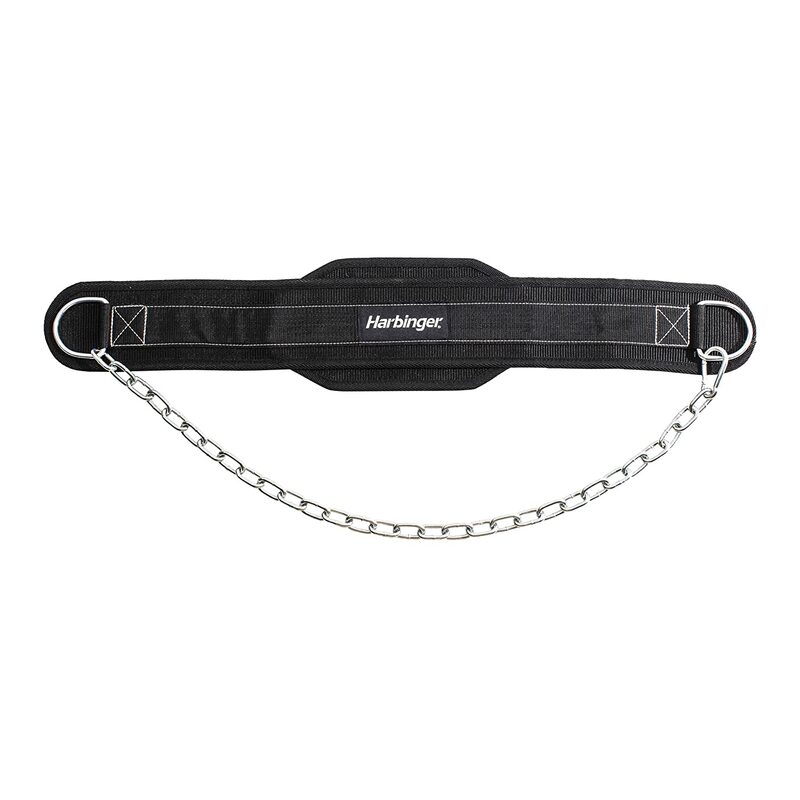 The second item on our list is a top of the line dip belt from Harbinger. Among weight belts in the Sports and Outdoors section, it is currently at the number 3 spot. This should not surprise us as more than 500 customers are all praises for this product. More importantly, it earned an average rating of 4.6 out of 5 stars on Amazon. Without a doubt, this belt is indeed a masterpiece from Harbinger. I like the fact that it uses polypropylene materials making it extra durable. I have used this belt myself, and I am enjoying it so far. It is comfortable to use even with 120 lbs of weight attached. My dips and curl ups have never been this fun. Furthermore, the one size fits all features closes the deal for me. It removes the stress of knowing your size and receiving a product that does not suit you after all. With this in mind, I’m giving this dip belt 4.8 out of 5 stars. If you are looking for a dip belt that helps build power to your arms, it can be your perfect choice. Harbinger specifically contoured the design of this belt to provide comfort during serious training. Also, how it fits your body is a major design consideration. It uses polypropylene as its primary material. As a result, it is more durable and long lasting compared to other brands. Its 30-inch steel chains allow you to clip the belt to your body quickly and conveniently. It also lets users add more weights to a more challenging routine. Since it is adjustable, one size can fit any gym enthusiast who is looking for variations in their training program. Although this product is on top of the rankings, some users still pointed out some flaws about this belt. For example, a customer complains about the length of the belt. Apparently, it is shorter than expected causing the chain to punch new holes on your clothes. Another issue is its ability to hold weight in place. Apparently, it has the tendency to slide down your torso if the weight becomes too heavy. However, this issue may be addressed by adjusting the tightness of the belt. The 3rd best dip belt for an intensive workout is from Brute Training Systems. 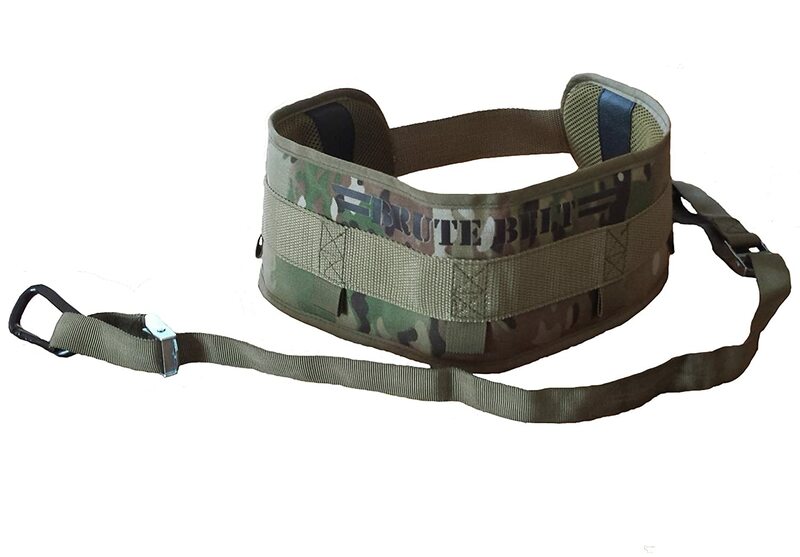 This army-inspired dip belt uses a patent-pending technology to ensure optimum performance. Despite being relatively new on Amazon, it managed to get over 200 positive reviews from legitimate users. In fact, it has an average rating of 4.7 out of 5 stars. Second, you can be assured that it will last long because of its military grade materials. It will be very convenient for you to wear this belt since it has a built-in pad with a nonslip grip. Although it is a bit pricey, I wouldn’t mind spending that much as long as the quality is fabulous. I believe this product deserves a 4.5-star rating. Brute Training Systems claims that this is the last dip belt you will ever own. This product claims to be the most comfortable, durable, and versatile dip belt ever. Its patent-pending technology includes a 40-inch nylon with adjustable straps that puts the weights exactly where you want it to be. To easily release the weights after use, Brute included two steel carabiners. For a more diverse workout, this belt is capable of holding up to 270 lbs with no trouble at all. Can you imagine the kind of resistance training that this belt can offer? Finally, to avoid accidental slips, this belt has a built-in padding system. More importantly, these pads add support and comfort during lifting exercise. Although this dip belt seems to wow its audience, it has its fair share of flaws that you must know. First, a few users express their concern about the buckles. Apparently, users tend to prefer a ring and a metal clasp for fastening. Another concern is about the belt loop. One customer claims that the stitches on the loop start to break after adding 220 lbs only. Although it might be an isolated case, it is still dangerous and should be addressed by the manufacturer. Lastly, this product is quite expensive in comparison to other brands. Although its quality is exceptional, some users are just not ready to spend that much. The next product on our list of elite dip belts is from Grizzly. Now, doing dips and curl ups will be more challenging with the help of this one of a kind product. Just like its competitors, Grizzly assure its users of maximum comfort and safety while using this product. With a 4.4-star rating on Amazon, this product is worthy to be included on our list. Despite the slew of negative reviews about this product, I still recommend it for gym goers like you. It has all the essential characteristics of a decent dip belt. Moreover, I love the fact that its core material is leather. It’s something unique in comparison to other products made of synthetic materials. Reinforcing the stitches is also a great idea. This prevents the belt from breaking down when weights are already added. For me, this product deserves a 4.3-star rating. If you’re not a fan of polyester and other synthetic materials, this product could be a potential option. Unlike other brands, this belt is made of multi-ply leather. Hence, it is all natural. Also, it prevents possible allergic reactions with synthetic fabrics. It also includes a solid steel chain with a D-ring to snap and close the belt quickly. To ensure that it won’t break easily after adding weights, the stitches are reinforced twice. It’s an excellent way of ensuring that the belt will last longer. Also, you don’t have to measure your waistline since it is available in one size that fits everyone. This feature also ensures that you can easily adjust the belt to fit your body correctly. Despite its stellar reviews, there are some downsides to this product. For example, a customer said that the steel chain snapped after adding just 60 lbs of weight. This weight is way below its rated capacity. Also, some users are not comfortable with the leather material. Although it’s durable, it is quite thick making it uncomfortable to use over extended time. Also, when carrying heavy weights, the stiff leather material rubs against your skin and may cause irritation. One great way to address it is by adding an extra layer of padding. However, it makes the belt tighter causing some discomfort. 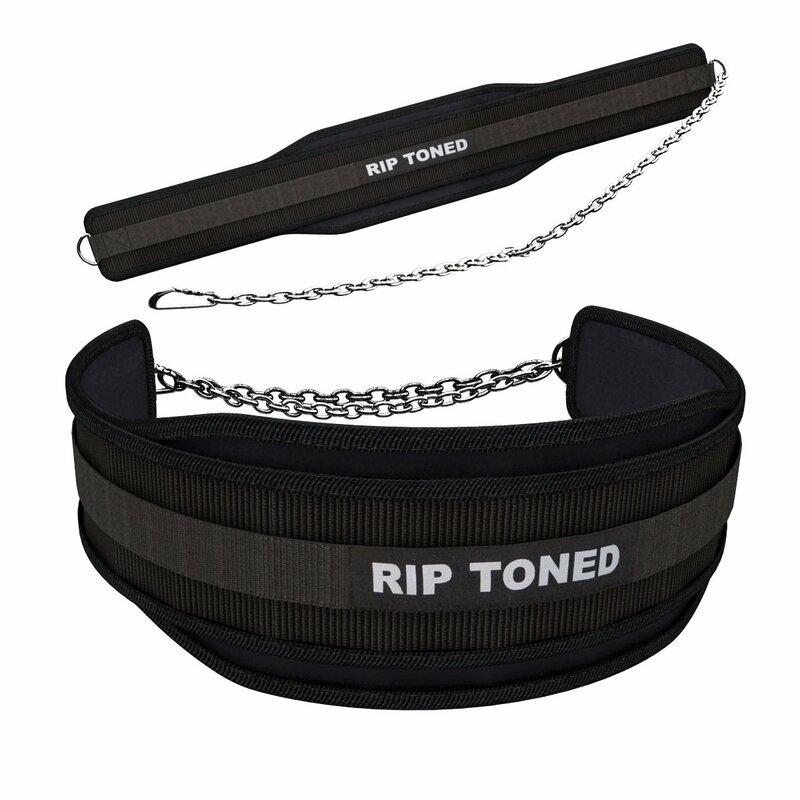 Last but not the least, we have one of a kind dip belt from Rip Toned. Ranked number 18 in the weight belts section of Amazon, this product is not only for dipping but other workouts as well. With raving reviews from verified customers, it earned a perfect 5-star rating. Aside from its thickness, I can’t see any reason why you should not try this product. For the most part, it delivers on its promise to change the way you do your lifting. For me, it is one of the most stylish dip belts on our list. Although it may belong to the midrange products, you should still give it a shot. In addition, it is very affordable for its quality. Hence, you are getting the best value for your money. I’m giving this product a well-deserved 4.5 stars. Although, these headphones aren’t the sealed ones, the sound quality is good. However, when it comes to bass, they aren’t a great pair of headphones in comparison to others. The five products on our list are all quality products worth your money. However, my top two choices will be the Brute Belt and the Harbinger Polypropylene Weight Dip Belt. To be honest, both products offer the comfort and ease during intensive workout sessions. Also, these belts can accommodate enough weights to change the way you do your dips and curls. However, if I really have to choose one, I will go with Harbinger Polypropylene Weight Dip Belt. I simply like how the belt follows the contour of your body for an ideal fit. Regardless of the weight added, the belt also does not slip down your body which is a major plus factor. Finally, the one size fits all feature is just wonderful. It gives the customers a hassle-free experience when buying the product since size will never be an issue. Material is a vital consideration in choosing a dip belt. Remember, you will attach heavy plates on it. Hence, it must be made of materials durable enough to avoid breaking. Also, quality materials contribute to how comfortable the belt will be. This thing will be with you for the entire workout session. Thus, it is important that it doesn’t provide any inconvenience at all. For safety reasons, it is of paramount importance to know the capacity of your dip belt. For example, if you really want to challenge your limits, go with a product that can hold heavy weights without breaking. Also, we suggest never to try putting a weight above the rated capacity of your belt. This situation will only put you at risk during workout. Most of the times, dip belts come as one size fits all. However, if your size is smaller than an average guy, you might need to choose a product that will fit you comfortably. Adding weights to the belt will pull it downwards. Hence, if the belt does not fit you well, the belt will just slip off of your waist. Besides, you should look for a product with adjustable circumference to ensure that it will fit you well. I hope this article is helpful for you. You are free to select the product you think can serve you well. However, if you don’t have the liberty of time to do research, you can trust my recommendation. Harbinger Polypropylene Weight Dip Belt is by far the best option. For one, it guarantees to fit the contour of your body. Hence, it can hold its place firmly. In addition, it can carry weights that no other product can. Truly, Harbinger Dip Belt is worth trying. Believe me. My recommendations have never failed anyone yet. → You may want to check this list of best adjustable dumbbells and best treadmill under 300 to start working out at home! Or if you do not want to workout with gym equipment, check these calisthenics workouts routine!